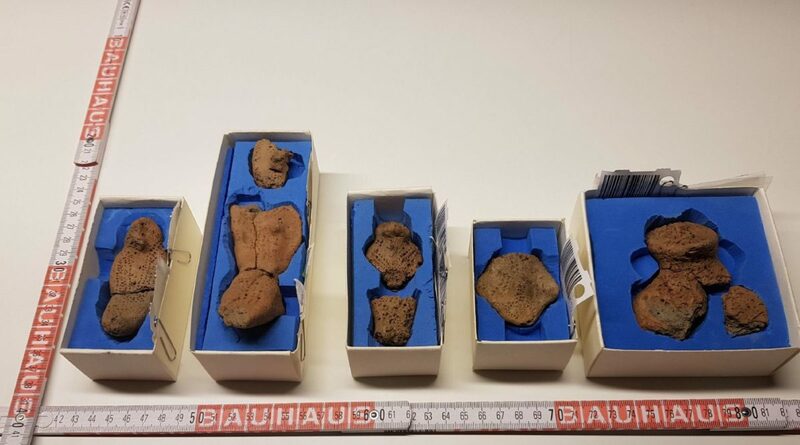 In this project Interspectral supported Sweden’s leading consultant on archaeology and cultural environments The Archaeologists (Arkeologerna) with CT scanning and 3D visualisation of Neolithic ceramic figurines, the Tråsättra figurines. Ceramics is a paradoxical material. The time that archaeologists spend meticulously analyzing even the smallest shard of ancient burnt clay is a stark contrast to the almost invisible nature of ceramics in our modern world. But it is this mundane aspect of the material that makes it a valuable source for archaeologists that so often wants to get closer to the everyday life of ancient people. But sometimes ancient ceramics isn’t mundane or ordinary at all. This is certainly the case with the Tråsättra figurines. Recovered in 2016 in Uppland in Sweden, they represent a rare form of Neolithic figurines in that they represent humans, they are what archaeologists call anthropomorphic. With an age of almost 4500 years they are the oldest depictions of human faces that have been found in Sweden. Together Sweden’s leading consultant on archaeology and cultural environments The Archaeologists (Arkeologerna) and Luleå Technical University we set out to try to gather as much information from these unique figurines as possible without cutting them to pieces and what better method to use then X-ray microtomography (μCT) scanning. 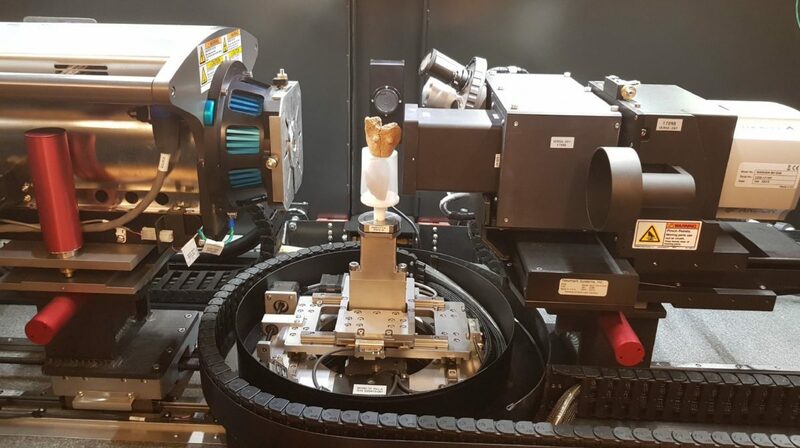 The figurines were scanned at the John Field Laboratory at Luleå University of Technology in a Zeiss Xradia 510 Versa microtomography system capable of producing scans with a spatial resolution down to < 0.7 μm and a voxel size of < 70 nm. With the help of these high-resolution scans and Interspectral software Inside Explorer the archaeologists hope to be able to gain more knowledge about these ancient figurines, how they were made, what material that was used and most important of all maybe understand more about the people who made them. Are you interested to learn more how Interspectral can help your company to scan and to visualize complex 3D data, please contact us using the details here.